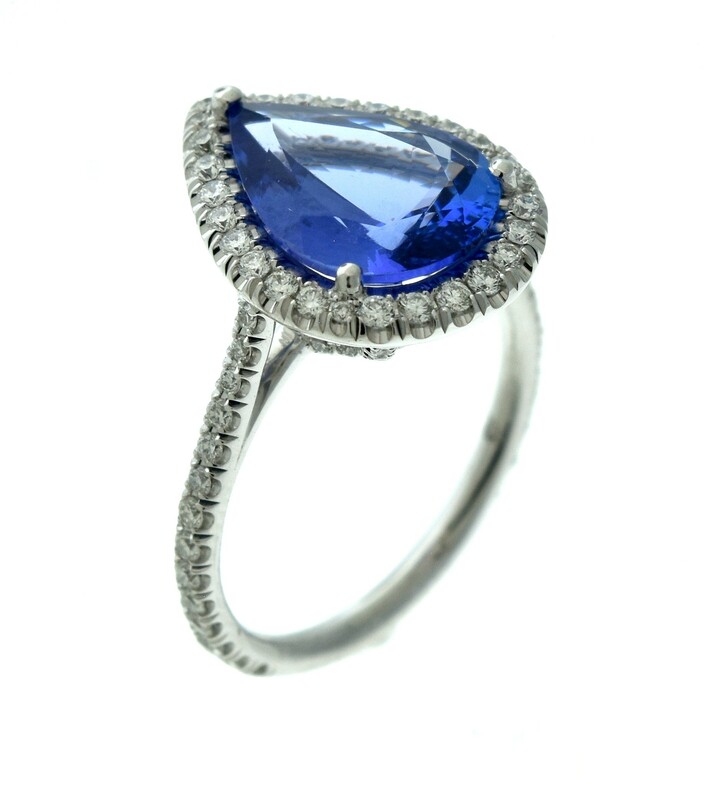 18K WHITE GOLD TANZANITE AND DIAMOND RING. 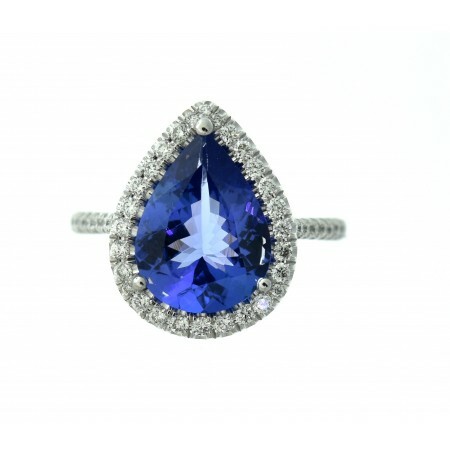 THE RING IS SET WITH A 3.01CT PEAR SHAPE, FACETED TANZANITE (12.28 X 9.15 X 4.69MM). 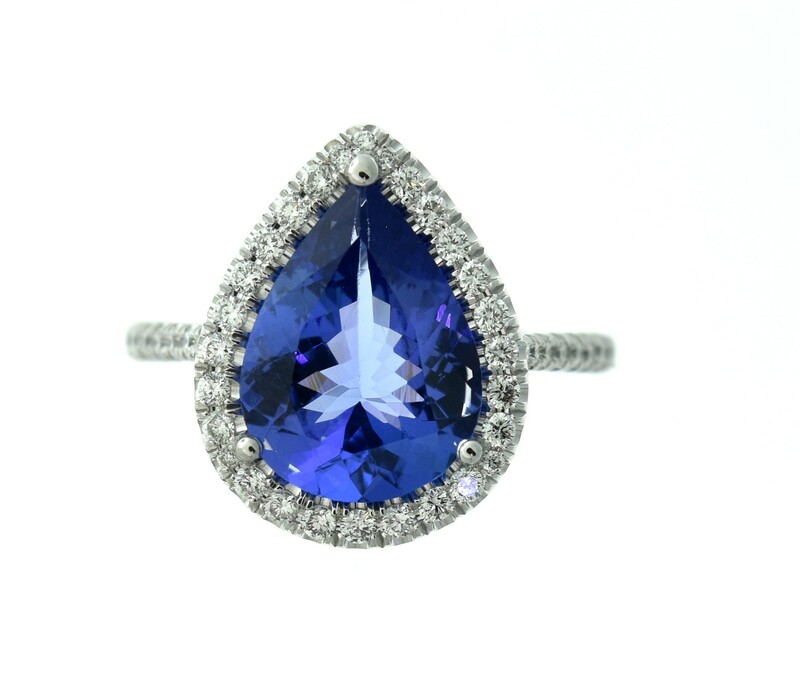 THE SETTING IS SET WITH 84 ROUND BRILLIANT DIAMONDS TOTALING 0.61 CARATS, G-H IN COLOR, SI-VS IN CLARITY. 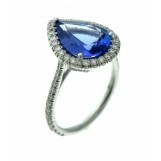 THE RING IS MADE IN A SIZE 6. TOTAL GRAM WEIGHT OF 5.1 GRAMS.